This is my seventh column for Publishing Perspectives. It’s been an interesting experience moving into the mindset of an author. My main concern has been whether anyone is reading what I write. It is, therefore, slightly reassuring to see a few comments about the pieces, although, as with most authors, I would wish for more. Of course he has a point, and I’m sure the various organizations supporting and representing authors would agree. There was a recent spat between the UK’s Society of Authors, the Authors Licensing & Collecting Society, and the Publishers Association, about this very subject. The row garnered a lot of attention, as covered by publications in Britain and by Publishing Perspectives (here and here). There’s even less demand to be paid by the hundreds of thousands of authors of scientific research papers. Far from wanting increased payments, they want to pay publishers to ensure their research is available free of charge to everyone in the world. Once again, the publishers bring brand, technology, marketing reach and—crucially, via peer review—an assurance of quality free from outside pressures. I fear I have no answers to the predicament, although perhaps readers might like to suggest some. But I’d like to try to dispel the associated myth that publishers “pull in billions of dollars…” and that they are highly profitable. Yes, the publishing industry is big. A survey conducted by the World Intellectual Property Organization and the International Publishers Association estimated total global sales of US$41.9 billion in 2016. (More from the study is here.) Provisional statistics for 2017 suggest that there has been significant growth, largely from China. Join us monthly for Richard Charkin’s latest column. More coverage of his work from Publishing Perspectives is here. 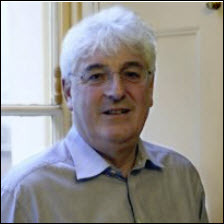 Richard Charkin is a former President of the IPA and for 11 years was Executive Director of Bloomsbury Publishing Plc. He has held many senior posts at major publishing houses, including Macmillan, Oxford University Press and Reed Elsevier, and has led many other organizations, such as the UK Publishers Association and The Book Society. Richard has an MA in Natural Sciences from Trinity College, Cambridge; was a Supernumerary Fellow of Green College, Oxford; and attended the Advanced Management Program at Harvard Business School; and he is a Visiting Professor at the University of the Arts London. Hi Richard – nice piece. I’m, I guess, a mid-list author (or was) and so your comments really resonate. Tempting as it is to blame publishers, the ones I’ve been lucky enough to work with have been unfailingly supportive. But things became a lot tougher as the Internet/digital world kicked in about a decade ago and it is very clear that the industry is still in reset mode, with a polarising, binary impact on authors – those at the top do v nicely – better, probably, than they used to; those at the other end of the spectrum are OK, too, because now they can get published (in that anyone can on Amazon) where they couldn’t before. Like everyone else, publishers included, I’m just trying to hang on and ride that wave ..! The world has moved on. So, you’re saying the authors don’t have a legitimate complaint? I agree it might not be related to the royalty percentage, but I do think the large distribution chains could distribute their marketing efforts much more fairly. So the loss of advances (which if not earned out in fact represent royalties on copies which never got sold) is a large part of the reason authors and their agents are upset. It’s also the case that most books are just not selling as many copies nowadays as they used to. Thanks Richard for the interesting article. I wish you could continue to wrote without the anxiety of who read it. Anyway, you missed a key point. This may be due to the lack of data available but let me try to articulate anyway. 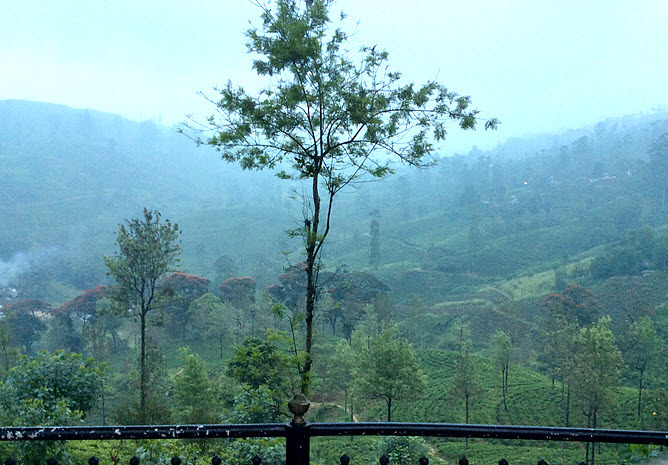 There is no point in time other than the present your article refers to and hence, my question – is the situation better or worse for authors and publishers. Secondly, you probably know this but most aspiring (I think) authors don’t know that staff in publishing houses (editorial and publicity) is mostly underpaid (especially in India). Authors can complain and must raise their concerns but they need, especially them, to be aware and acknowledge the problems faced by everyone else apart from their own kind. Mere profits don’t make for good editors and publishers BTW. I’m amazed at the lack of knowledge here. Publishers, the big 5 especially, have ruthlessly screwed over authors for over a hundred years. They lie, cheat, and steal and the second they have real competition they collude with the world’s largest tech company (Apple) to force their competition out of the market… And you’re asking why authors don’t like them? The list goes on. You can’t routinely screw your suppliers and then cry foul when someone else steals then from you. This is a trouble of their own making. All they have to do to fix it is stop being terrible human beings. Why does the person who does all the specialized, difficult work, who comes up with the idea and the words, get paid the least amount of money in the process? Richard, thank you for your response. I can imagine the flack you might get, however I won’t do that. You are correct, copyright is there to protect the authors income… And that was the case until publishers started demanding life+70 years. It protects their income, the author may or may not earn out his advance so it really doesn’t help them. As for my other points, even a cursory search of publisher behavior over the last hundred years will verify everything I said as fact. Is every single publisher bad? No. Of course not. Just the vast majority. Don’t even get me started on agents. I’m afraid unless you are a big name you are just a cog, not worthy of any human consideration. Publishers didn’t demand 70 years, authors did and publishers supported them, in my view correctly. The extension was largely about lining up various different copyright regimes. By teh way, copyright is for fifty years in China. Does that make auhtors or publishers better there? Hi Richard, you equate a publisher’s profit of 10% to an author’s royalty of 10%. Everybody makes the same out of it in this scenario. But you omit one very important point: the publisher’s profit is calculated AFTER all of their expenses are deducted, not just direct expenses but all of the overheads, salaries, taxes, and other costs. The author might draw in 10% of the sales, but has had to pay all their own costs as a writer against that 10%. That is significantly different. Yes, of course, I was oversimplifying. You have to or these pieces might become as long and dry as the income tax codes of most countries. The royalty doesnot take account of the author’s overhead but, in trade publishing, the average royalty is usually rather more than 10% and the publisher’s profit is frequently less than 10%, particularly after taxes and write downs of stock and advances.